There are Photoshop battles happening all the time; the masters of this craft use every possible opportunity to show off their skills while creating some of the funniest images ever. These battles have all kinds of themes, and each end result represents the vision, the experience, and the sense of humor of the person who created it. 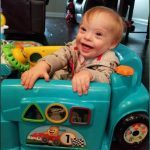 In the following list, you will find some of the best images from recent Photoshop online battles—most of them are guaranteed to make your day brighter than it already is. 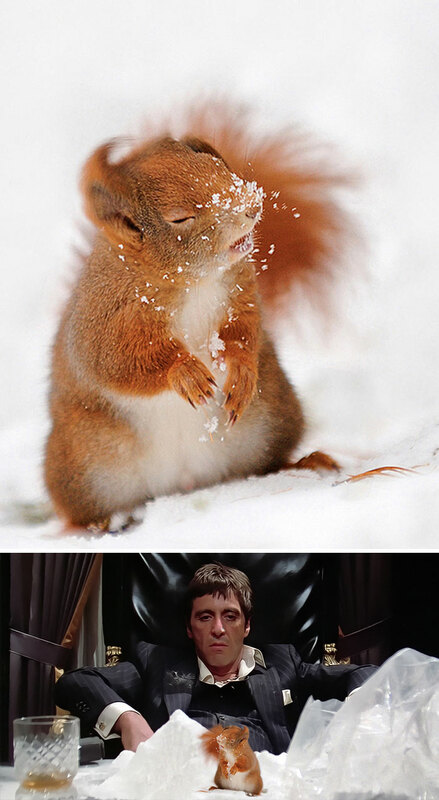 From a squirrel in the snow to Donald Trump, if you name it, we have it. The phrase “Say hello to my little friend” just got a whole new meaning. And make no mistake—the second picture does not feature any snow. The original photo has a nice mystery aspect to it, but the second one suggests one of the possible solutions—and we are a bit scared of it, actually. 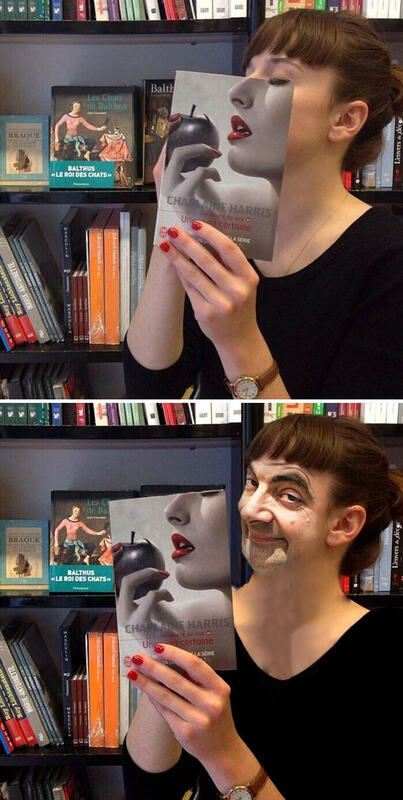 We love Mr. Bean, though. 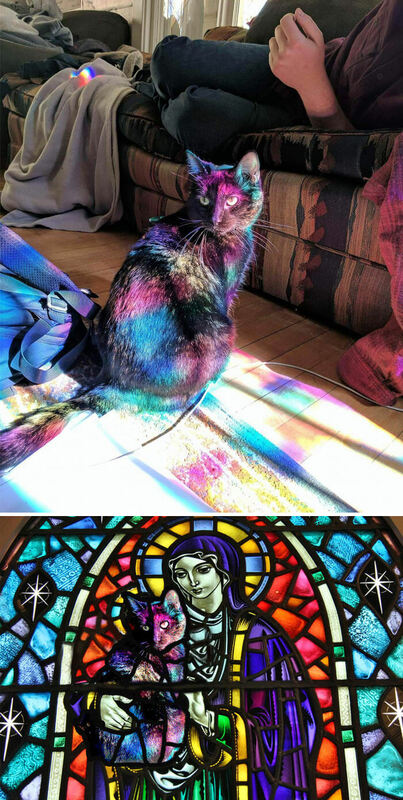 This cat creates the perfect optical illusion while sitting in the sunlight under a multicolored glass window, and someone decided that it would be a nice idea to turn the cat into a part of the decoration. The end result is rather interesting. 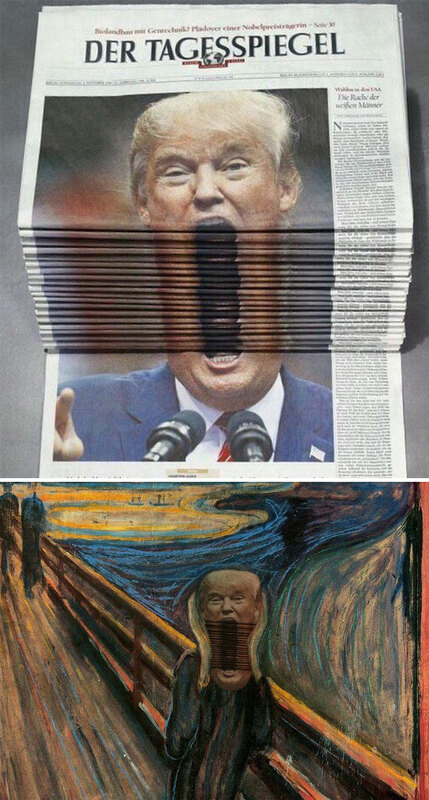 The newspaper stack creates a hilarious optical illusion, but a Photoshop master took it to the next level and transferred the image to Edvard Munch’s painting “The Scream”. It is a mind-blowing result, to say the least! The odd-looking insect is rather curious with its rich shading. 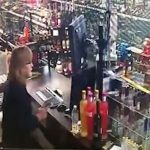 But suddenly seeing it somewhere it doesn’t belong would be quite a surprise—the probable reaction of most people can be seen in the second image. This proud curly chicken looks very stylish and chic, and that is why his image was put on a classic painting, and you have to admit that it doesn’t look out of place at all. 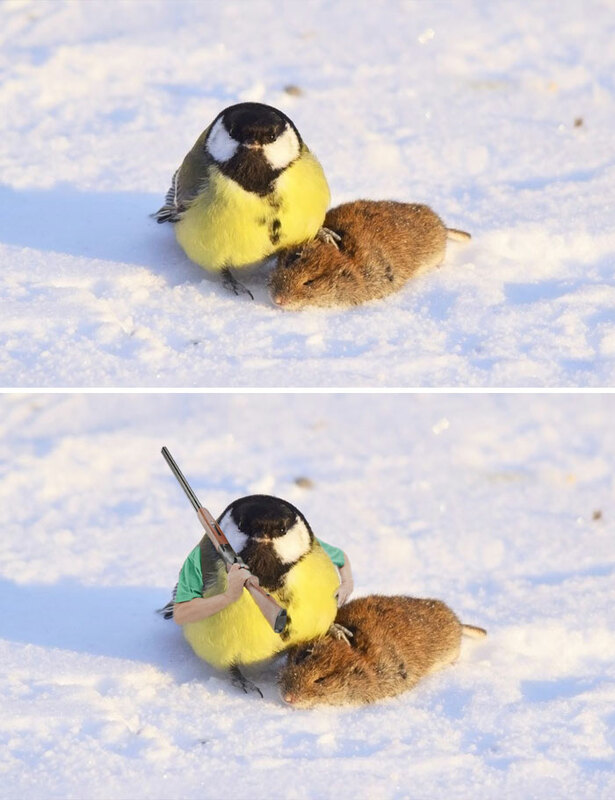 The pose of the tiny bird over the dead mouse gave this Photoshop manipulator the idea to create an image of a hunter and his prey. It did not take a lot of effort, just a gun and two hands to hold it with; the bird obviously had the proper attitude in the original photo! Turning the marvelous feathering of this gorgeous bird into a waterfall is done perfectly, and the two blended images look almost natural. 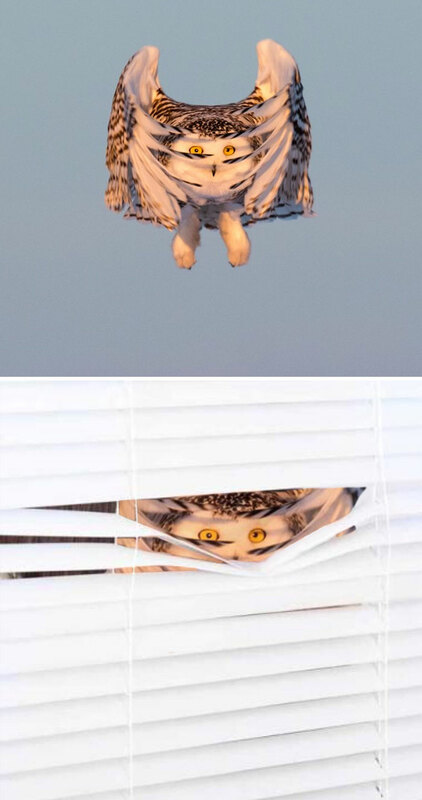 The wings on this owl while descending were perfect for recreating the image as if the bird was peeking through the blinders. 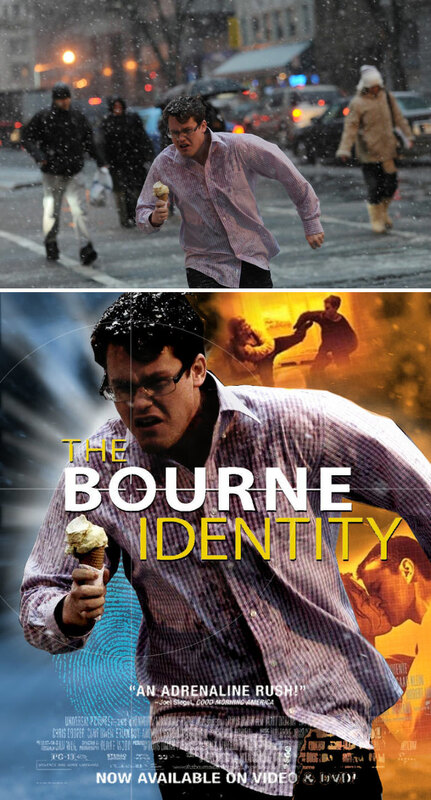 The pose of this man and his uncanny resemblance to Matt Damon left only one choice for the photo manipulation, and the end result is a perfect movie poster.